Are you a parent trying to navigate the ever-changing landscape of social media? Parenting with social media at our teen's fingertips is hard. But parenting with it and not understanding current social media is even harder. With new social media applications launched every day, its often difficult for us to stay informed and monitor which are the safest and riskiest for our children. Twitter, Snapchat, Whatsapp, and Instagram are no longer the only concerning social media platforms. Tweens and teens are continually seeking new entertainment and immediate gratification, which app creators are eager to provide. 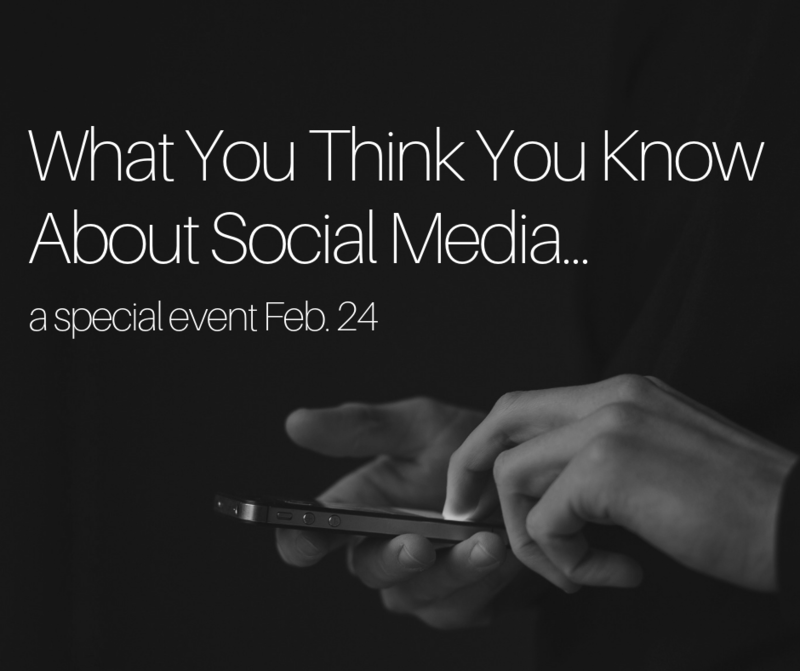 Unfortunately, in most cases, the number one concern for these develops is not about our children’s safety.Save the date of February 24 and attend, “What You Think You Know About Social Media" is a special event hosted by youth pastors and social media experts. We’re inviting you as parents to attend and hear from local experts and professionals in the field of social media and the digital world. Students will have their own space to talk about social media. This is an event of several churches coming together to learn and grow together. We’ll include a time of Q&A for you to anonymously text in your questions and answer polls. This is not about how to parent your child, but an opportunity to be updated and informed about the apps and capabilities of the digital world that parents should know about. We'll meet at St. Andrews UMC at 5:30 PM, with light snacks provided. Come hear from experts in the field to get in the know regarding your teen & social media.